1/4 guitars are the small kid’s guitars. They are also called 30 inch guitar. Thanks to the small size these guitars are also often considered as a perfect travel guitar. You can easily slide it in your backpack and take it on every airplane as hand luggage. 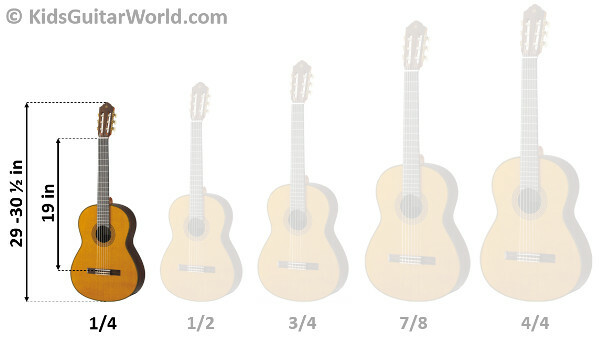 The name of the guitar does not mean that it only measures 1/4 of a full size guitar. Quite the contrary, the size refers to the guitar scale (the scale is the length between the bridge and the nut of the guitar head). 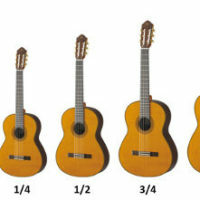 The scale of a 1/4 guitar measures around 19 inch, whereas a standard sized guitar measures 25 inch. Based on the overall length a 1/4 guitar is about 20% or 8 inch shorter than a full size guitar. Although the 1/4 size guitar is the smallest one, it is not really a guitar for toddler and not at all for babies. The end of a guitar string can be quite sharp and consequently for babies. We see sometimes toddlers playing with a small size guitar but most of kids under 3 years are not really ready for a real instrument. A toy guitar is absouletly the better choice in most cases. Classical, Steel String or Electric Guitar? When looking for such a 1/4 size guitar we’ll quickly realize that there aren’t too many on the market. The kid’s guitar market is dominated by 1/2 and 3/4 size guitars. In addition to that slight difference, we’ll also find rather classical nylon string guitars than acoustic steel string or electric ones. This is absolutely reasonable since a 1/4 guitar is often the first guitar for a beginner. 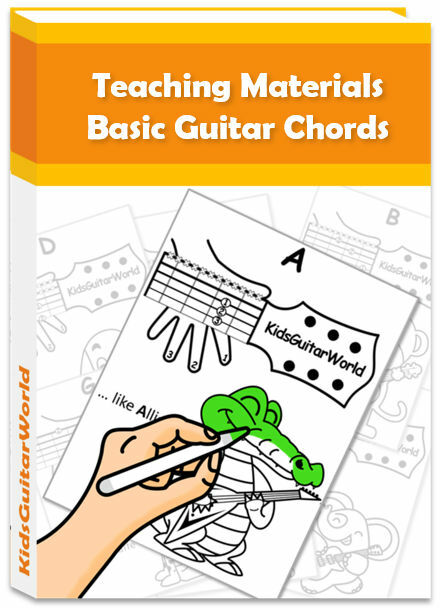 As a beginner your child won’t have neither the hand strength nor the calluses on your fingertips in order to hold the chords properly. Kids are beginners and for these little becoming guitarists classical nylon string guitars are the first choice. Nylon strings are just more comfortable and easier to press down than steel strings. So definitely go for a nylon string guitar for young kids which is the case when considering a 1/4 guitar. A Guitalele is something between a guitar and a ukulele. Thanks to its small format it can be a alternative for kids. Check out more here. Here are a few ideas of 1/4 guitars for kids that I like. 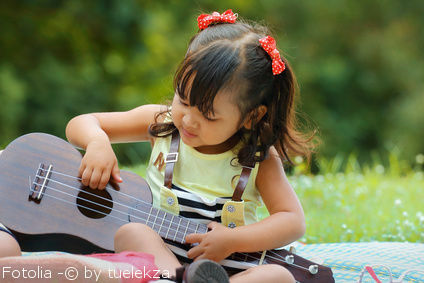 Ithink at this age a child should really start with a classical one than another type of guitar. 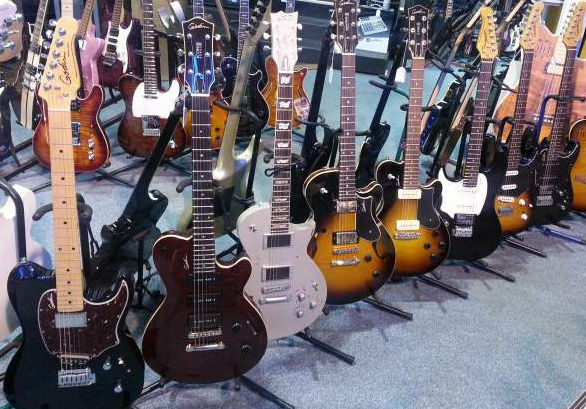 All of them are well-known guitar manufacturers. 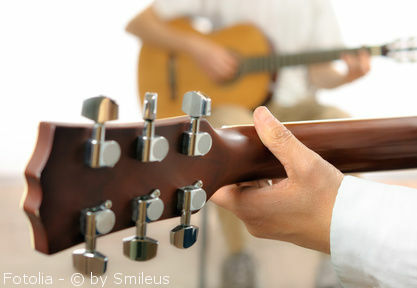 Cordoba is a brand of guitars that I believe provide a great value for both quality and sound, as well as playability. Protégé is a product line of high quality guitars for young guitarists. This nylon string guitar from Cordoba features a spruce top which ensure a good sound tone. A truss rod on the guitar neck enables you to adjust the action of the guitar (distance between strings and fingerboard). It stays well in tune It comes with a gig bag. 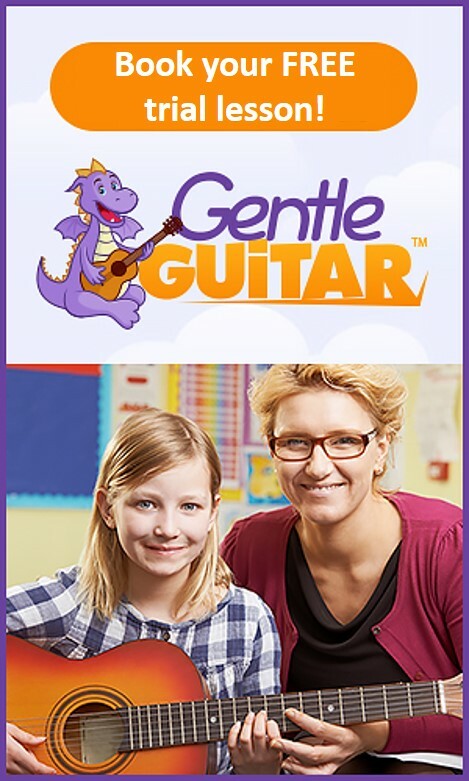 If you are looking for a high quality guitar for your child in quarter size, then it’s the one you want to get. If you are familiar with guitars, then I bet you know the guitar brand Stagg. They offer entry level guitars with for a fair price. The quality of the Stagg C505 is alright but below the Protégé by Cordoba C1 but therefore it costs also just the half. The interesting thing about this 1/4 guitar is that it is available in plenty of different colors and designs. There is even a pink version which might be quite interesting for girls. If you are looking for a good playable nylon string guitar that also attracts children by their design, then the Stagg C505 should be on your short list. 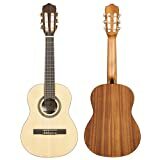 Another classical nylon string guitar is the Lucida Student LG-510 for a similar price as the Stagg guitar. The quality is alright but by far not the best. Since your child won’t play on this guitar his whole life as he grows and requires once a new size, you can go for it. There are not many electric guitars in this size on the market. Most of the big guitar manufacturers start only producing electric guitars from 3/4 size since they are perfect for big kids and traveler. 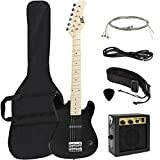 However there is one 30″ electric guitar I could find, which comes in a bundle for a really good price. Moreover, it’s also available in pink for girls.